This square really is quite shifty. As you work the pattern, it makes use of back and third loops and alternates between popcorn, picot and crossed stitches. This gives it the appearance of the square “growing” from the inside and morphing shape as it does. It’s really quite beautiful and different enough that it will make your square-based afghans or blankets really unique. 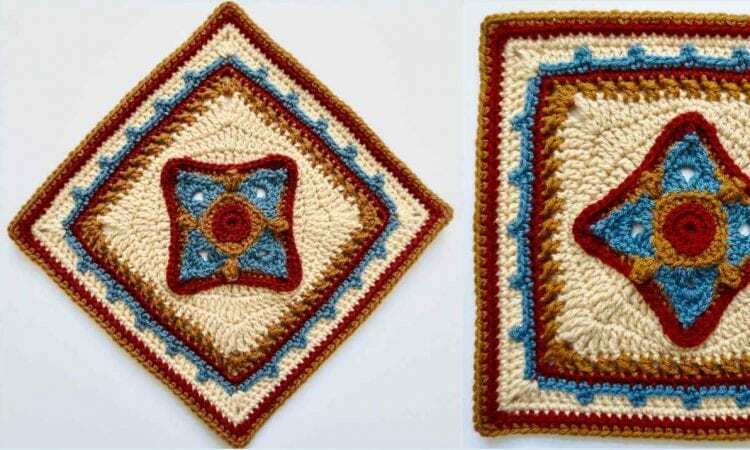 The pattern provides for 9 and 12 inch squares. A link the free pattern is at the end of the post.